What are you recovering from? The finest organic Japanese matcha with blended with naturally restorative herbs. Designed to promote rehydration and boost recovery. Granite milled Matcha is combined with the specifically chosen and seasonally harvested herbs and flowers to produce a great tasting drink that will leave you feeling energised and refreshed. Japanese Matcha green tea powder (55%), Peppermint powder, Nettle powder, Milk Thistle powder Spirulina and Lavender powder. 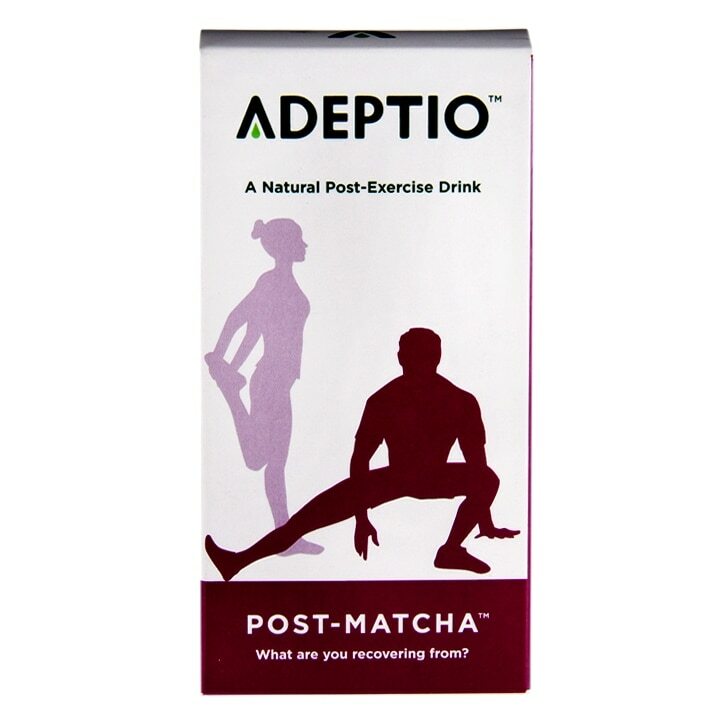 Adeptio Post-Exercise Drink is rated 5.0 out of 5 by 1. Rated 5 out of 5 by Alex22 from Perfect to help me rehydrate Great natural way to help me rehydrate after my workout - love the blend of superfood ingredients!